RIYADH, Saudi Arabia -- Saudi women are heading to polling stations across the kingdom, both as voters and candidates for the first time in this landmark election. More than 5,000 men and around 980 women are running as candidates for local municipal council seats. More than 130,000 women have registered to vote compared to 1.35 million men. 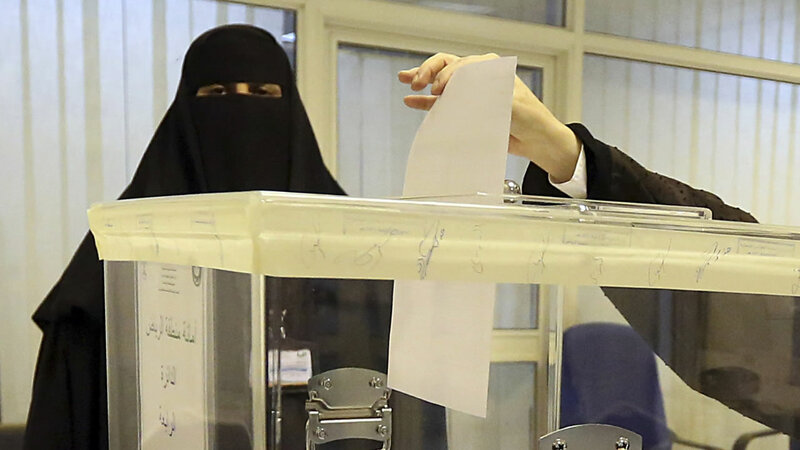 The election, which does not have quotas for females, is widely seen as a small but significant opening for women to play a more equal role in Saudi society. Municipal councils are the only government body in which Saudi citizens can elect their representatives. It's the third time in recent decades that Saudi men have been allowed to vote. In line with Saudi Arabia's gender segregation rules, men and women are casting ballots at separate polling stations.